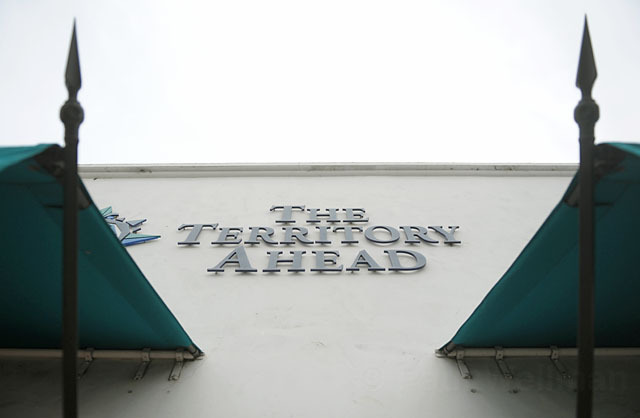 A tip Thursday afternoon from a now-former employee of The Territory Ahead said a number of company workers were laid off earlier in the day. 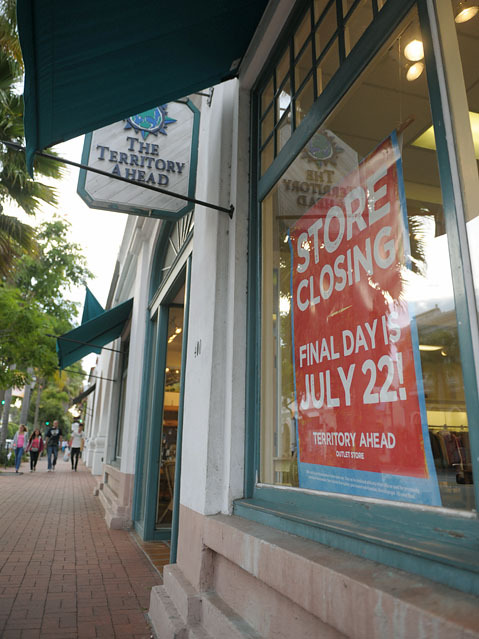 Calls to the clothing retailer’s corporate office in Santa Barbara were not immediately returned, and employees at the store at 515 State Street and the outlet store at 400 State Street — which is closing July 22 — couldn’t comment on the report. The woman, who asked that her name not be published and is a different source than the tipster, explained the 24-year-old company was recently bought by Distinctive Apparel Inc., which is a Massachusetts-based holding company of Blackstreet Capital Management, LLC, an investment firm in Maryland that is “focused on control buyouts of underperforming corporate orphans,” according to its website. Blackstreet lists The Territory Ahead in its online portfolio and describes the relationship with the Santa Barbara business as a “Control Buyout-Corporate Divestiture” completed in July 2012. The Better Business Bureau (BBB), on its web page, gave Distinctive Apparel an “F” rating. It notes the company is not BBB accredited and has not responded to 11 customer complaints filed with the federal watchdog agency in the last month. Calls to Distinctive Apparel weren’t immediately returned. Brandon, a manager at The Territory Ahead’s closing outlet store who didn’t seem too keen on being asked questions about the buyout and layoffs, said he wouldn’t comment on whether that store’s employees would remain with the company. When asked what he could discuss, he responded, “I could ask you to leave.” During the conversation, however, he said The Territory Ahead will be renamed Territory Apparel, and he confirmed Distinctive Apparel is involved in the buyout.